Don’t let the Made in China tag scare you away from this US powerhouse. Even though Buick is a true American brand, one of the oldest, their latest offering for the luxury SUV market that goes by the title of the Buick Envision isn’t made in the States. GM aligned themselves with the world’s biggest emerging market, China, and set up a production facility in Yantai with the twofold purpose of establishing a footprint in the country and also to save on production costs. While it achieved both of these things, the Envision wasn’t only destined for the Chinese market but also out own market. Many out there who are aware of this were worried about the build quality of the SUV, as well as the safety. We’re happy to report that the Buick Envision passed the Insurance Institute for Highway Safety’s various tests, including crash tests, with flying colors. 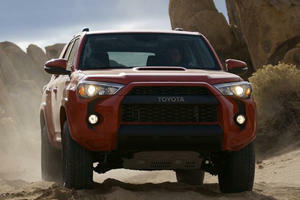 How about the rest of the SUV though, is it something to consider over segment competitors? Most definitely. The Buick Envision has more than enough going for it to compete with the likes of the BMW X3 and the Audi Q5. The Envision also comes standard with features like lane change alert. With the SUV being touted as a luxury car, the interior is the place that needed to have the best look, feel and options. Included in the Envision’s spacious interior is tri-climate control, heated steering wheel and front-rear seats, a brilliant Bose sound system, a built-in navigation system linked to a 4G and Wi-Fi supported 8-inch touchscreen infotainment system. The infotainment system is a winner, not only does it have that list of features, it’s not complicated to use, a day behind the wheel and you’ll be comfortable with all aspects of it. The Envision also comes standard with features like lane change alert, rear cross traffic alert, stability control and a following distance indicator. On the options side there are extras like optional collision mitigation braking, a panoramic moonroof, cooled front seats and xenon headlights. One feature we like, and that should be standard equipment in anything with wheels, is the ‘Teen Driver Mode’ that automatically enables all available safety features and silences the audio system until the front passengers have fastened their safety belts. Having system info shown in the center of the speedometer is also a nice feature, but shared with segment rivals. Segment leaders do have an advantage in the tech side of things, but the Buick Envision has stepped up the brand’s game a lot, so while the tech is a little less than in an Audi Q5, it’s more than adequate. The Buick Envision is meant for families and travel in comfort, and it offers more than enough room for five adults to sit without being squashed together. The trim does have a premium look and feel, Buick have made sure things feel as good as possible so that the SUV can compete with the usual suspects out there, and it does well on this front. It may not be as solid as the BMW X3’s finishings, but unless you climb out of one car and into the other you’d be hard-pressed to notice this. The dark dash with chrome trim looks good, and matches to both the dark and light fabric options well. Interior options are sparse which is a good sign because that means what you see is what you get for the most part, and that’s a lot. The front seats are bucket-style as standard and they give great support and a seating position that wants for nothing. Everything is within reach and things that aren’t can be easily controlled via the many steering-mounted controls. The Buick Envision is meant for families and travel in comfort, and it offers more than enough room for five adults to sit without being squashed together. Cargo space is good too, a wide opening and a flat floor make loading easy and the rear seats have the usual 60/40 split configuration that also have seven inches of movement to free up either cargo or occupant space. A great feature is the cargo-area levers that allow you to easily fold the rear seats down to form a flat-loading floor for easier cargo transport. Total space comes in at 57.3 cubic feet, so while access and usability is good, the space is average for the segment. If you want to keep refreshed on your journey there is space for a pair of drinks up front with two spots in the front console, you’ll be able to fit a medium coffee in, and retrieve it without spillage. For those in the rear drinks can be stored in the rear armrest. The system reduces the need to battle with the steering when accelerating out of corners and also ensures body roll is no more than you’d expect from a car of this size. The Buick Envision passed many stringent tests before being sold Stateside, and while these tests don’t address the quality of the way the SUV drives of course, with such good scores you have an idea of things being pretty good. The seating position, as well as the space is good for both short and tall alike, the seat movement and the steering adjust will have a position for everyone. Once you’re ready to set off after mirrors and everything else has been adjusted, you’ll notice that things do indeed feel quite premium and that you have ample visibility with a minimal blind spot, but if a car does sneak into this dead space then the on-board systems will have you covered. Once you actually set off you’ll feel a rather refined drive that will leave your thoughts about the country of manufacture in the distant past. To have the Buick Envision offer up a premium drive, attention was paid to the sound deadening of the cabin so that exterior noises from the road and wind, as well as surrounding traffic, is at a minimum. Buick also added in a new suspension system to the Envision, which translates into a drive feel it means the car has a sharper feel in steering and removes torque steer as can be felt from a turbocharged engine setup. The system reduces the need to battle with the steering when accelerating out of corners and also ensures body roll is no more than you’d expect from a car of this size. The suburbs and highways are the perfect place for the Buick Envision; it will dutifully get you to where you need to be. The turbocharged 2.0-liter four-cylinder gasoline engine found in the higher spec models may be compact in capacity, but it provides enough punch that will never see you avoiding steep hills. Buick fitted the Envision with a six-speed automatic transmission fitted with a high ratio first gear that gives the SUV a decidedly deceiving pull off that will see you ahead of the traffic if you apply a lot of throttle from the get-go. Even with five adults on board the Envision doesn’t feel like it’s struggling, so family holidays or trips to catch the game won’t frustrate you. The Buick Envision is perfectly suited to transporting the family or little league team to wherever they need to go. The suburbs and highways are the perfect place for the Buick Envision; it will dutifully get you to where you need to be. The Buick Envision is available in front-wheel drive or all-wheel drive. The Buick Envision is available in front-wheel drive or all-wheel drive, but you’d probably not notice which is which when driving the car. The SUV will likely be used mainly for tarred roads with very few owners taking it on light trails, but for those that do the all-wheel drive proves an extra level of control and confidence. To go with the drivetrain options, there are two engine options spread over the five models in the range. Envision, Preferred and Essence all see fitment of a normally aspirated 2.5-liter four-cylinder that makes an unspectacular, but adequate 197 horsepower, while Premium and Premium II are powered by the a turbocharged 2.0-liter four-cylinder with a better power output of 252 horsepower. In comparison the likes of the Audi Q5 has two engine options, a smaller capacity 2.0-liter four-cylinder gasoline engine that makes 220 horsepower thanks to the use of a turbocharger, and for the top version there’s a 3.0-liter six-cylinder engine that makes 272 horsepower, and again thanks to a turbocharger the power is used exceptionally well, but the German automaker has been at this game for a lot longer and having better engines is bound to happen. Shifts between the six gears are smooth and precise and no matter which engine the transmission is coupled to it works great. Both engines available for the Buick Envision feature start/stop technology that helps improves fuel efficiency by shutting down the engine when the Envision comes to a stop, with the engine automatically restarting when the driver takes his or her foot off of the brake. It’s a common feature these days and one we’d prefer to be able to disable permanently sometimes, but there are trees that need saving and automakers need the system as it helps them reach emissions targets. Shifts between the six gears are smooth and precise and no matter which engine the transmission is coupled to it works great. For the 2.0-liter version the consumption is at an EPA-estimated 20 mpg for the city and 26 mpg on the highway and for the 2.5-liter version the estimated figures stand at 22 mpg in the city and 29 mpg on the highway. The front-wheel drive version is more frugal as you’d expect. New Buick cars come with five warranty options. Usually when you find out that something is made in China, the perception is that the quality may not be something worth mentioning. The reason is that China is the world’s home for mass-produced products of all kinds, and on the automotive front, the Chinese car brands are not too good and are usually bad copies of well-known cars from the West. Even though the reason GM moved Buick’s production to China was to save on costs, the main reason was to penetrate the market there and so they made sure not to skimp on quality. Still, before being the first Chinese-made American brand was released in the States, the National Highway Traffic Safety Administration subjected the Buick Envision to a series of rigorous tests to make sure it was safe. Even though it was the first Chinese cars they tested, the Buick Envision passed with flying colors thus proving it's worth. The car scored well all round, and in particular the front crash protection netted 4 points, which is classed as an advanced rating. New Buick cars come with five warranty options that starts off with a 4-years/50 000-miles bumper-to-bumper option and goes up to an 8-year/100 000 mile eAssist Coverage option. The powertrains have their own coverage of 6 years / 70 000 miles, more than enough to give prospective buyers complete peace of mind. Buick did a great job of getting the Envision to hold its own in the segment. The five trim levels offered start off with an MSRP of $34,990 for the Envision and that rises to $45,885 for the Premium II. To make sure the SUV is competitive Buick did make sure that standard options are plentiful, so even when ticking all the boxes possible costs are still not too bad, and less than the competition. Standard features in the base Buick Envision includes ultrasonic rear-park assist with a rear vision camera, a tire pressure monitor, stability control, dual zone climate control, a hands-free power lift gate, a power assisted 8-way adjustable driver’s seat, a six-speaker audio system and an 8-inch touch screen. These features are all found in the top-spec Premium II model, as you’d expect, but to get the car up into the luxury bracket there’s a whole host of other features found like forward collision alert, a heads-up display, lane keep assist with lane departure warning, front automatic braking and leather options. Compared to rivals, that is a good spec and feature list even compared to another of its German rivals, the BMW X3. The base BMW X3 does have a bit more on board like brake energy regeneration, brake drying hill descent control and rain sensing wiper, to name but a few features. 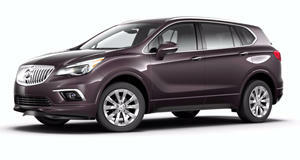 As you can see, Buick did a great job of getting the Envision to hold its own in the segment. But is it worthy of your hard-earned money over the usual options? While the Buick Envision isn’t exactly perfect and is missing some character, it really is a good SUV that certainly does offer up a good amount of luxury. The compact powerplants are up to the task of making the SUV a comfortable daily driver or family holiday car, and the Buick Envision is on the whole a more cost-effective vehicle to buy in comparison with its chief rivals. On cost and features, we’d recommend you add the Buick Envision to the list of potential new cars if you’re shopping in this segment.